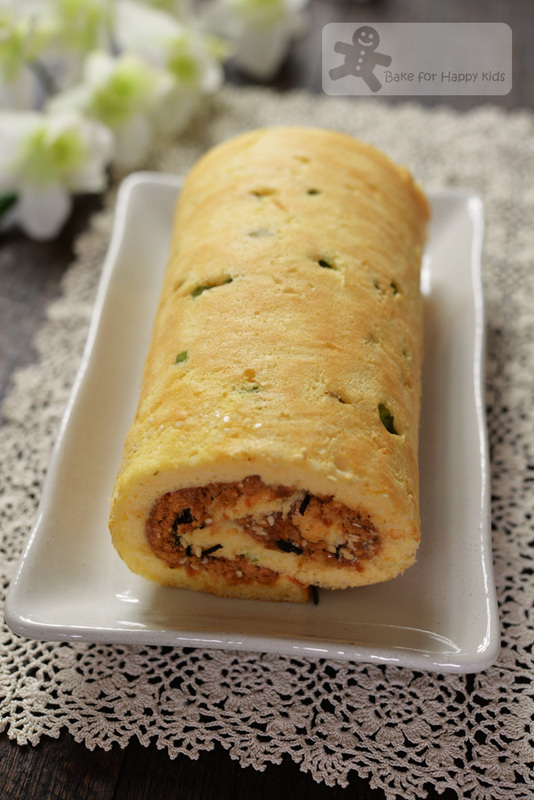 Now who likes pork floss mayonnaise chiffon Swiss roll? Absolutely doubtlessly definitely clearly undeniably me! And my family too! We are extremely impressed with this Swiss roll. Will you? 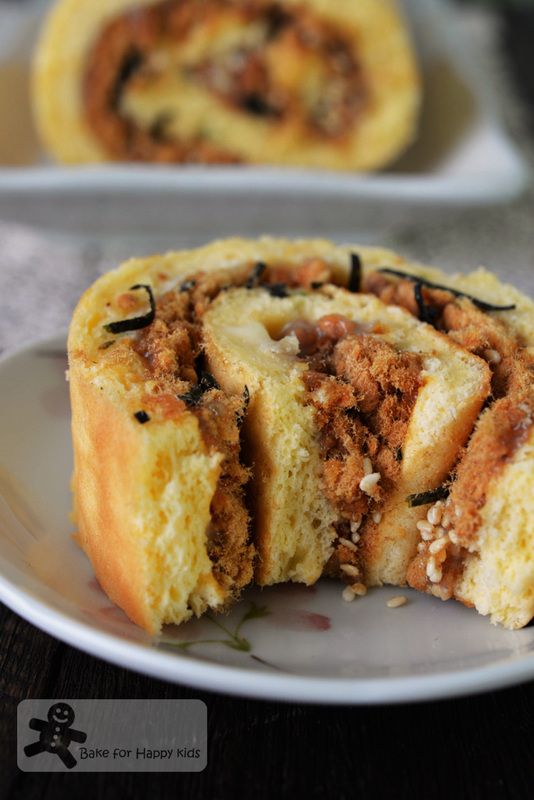 I must say that this chiffon Swiss roll recipe is really good... 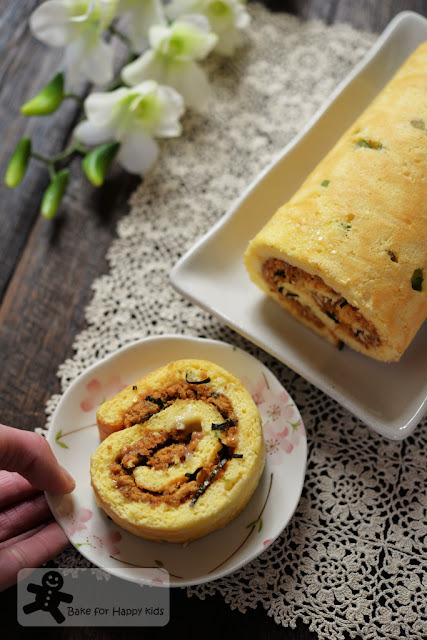 So good that it can make Swiss roll base that is soft, moist and pretty fail proof too! Fail proof because it contains more egg yolks than egg whites resulting the cake base to be pretty stable and it won't crack and break when I roll it... How good is that? 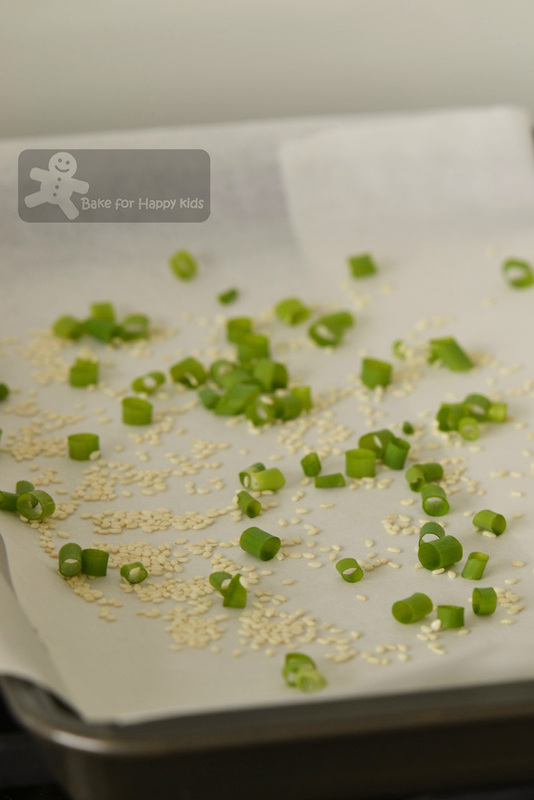 First, I prepared a baking tray with a sprinkle of sesame seeds and spring onions. I wouldn't omit this step as these will make the outer layer of the cake very fragrant and nutty to eat! This is mixture A - mix oil and milk. ... mixture C will be ready if it forms stiff peaks like this. 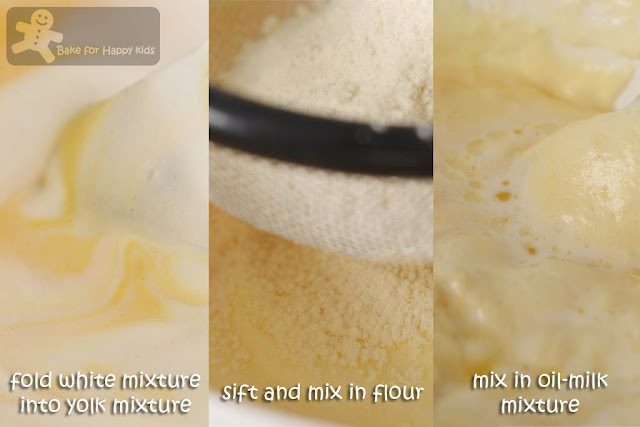 Now, combine mixture A, B and C... plus the sifted flour from D! Isn't this as easy as ABC? LOL! Just 10-12 mins of baking and the cake is cooked! Flip the cake onto a clean baking paper and remove the used baking paper at its bottom. 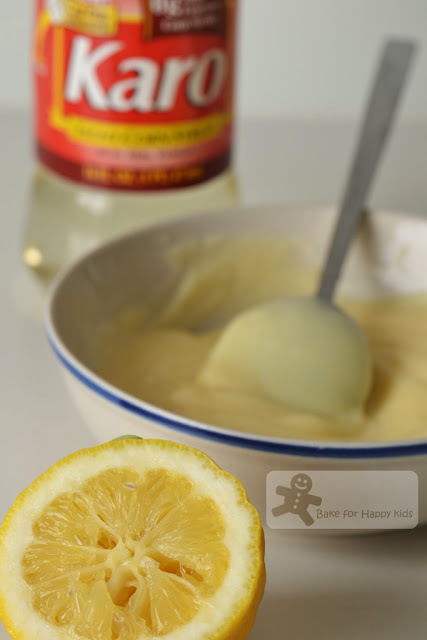 Spread thin layer of the mayonnaise mixture evenly on the cake. Sprinkle pork or chicken or fish floss, sesame seeds and shredded seaweed on the cake. ... and roll it like a Swiss roll. I'm happy to serve this! ... and very soft, moist and yummy! Told you that it is a fail proof recipe! Preheat oven to 190°C. Line a baking tray (35 x 25 cm / 10 x 14 inches) with baking paper. Sprinkle the tray with sesame seeds and spring onions. Set aside. 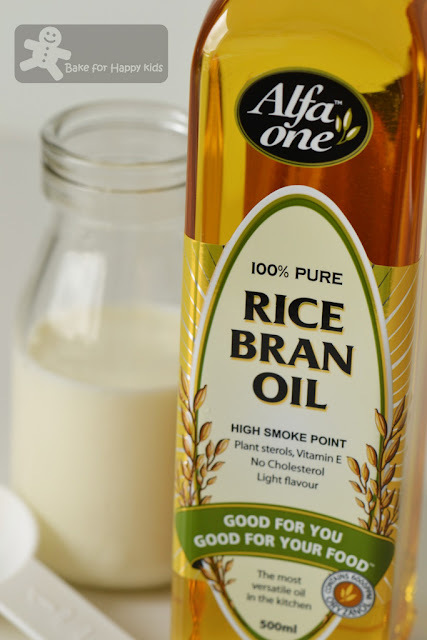 Combine oil and milk in a mixing bowl to form mixture A. 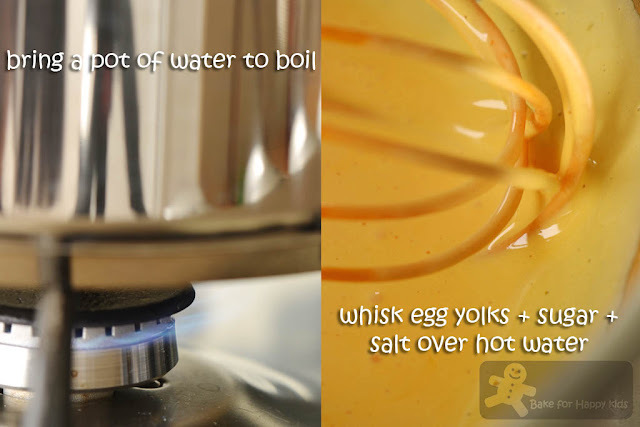 Combine egg yolks, 15g sugar and salt to form mixture B. Place mixture B in a heat proof bowl and place the bowl over a pot of boiling hot water (removed from heating). 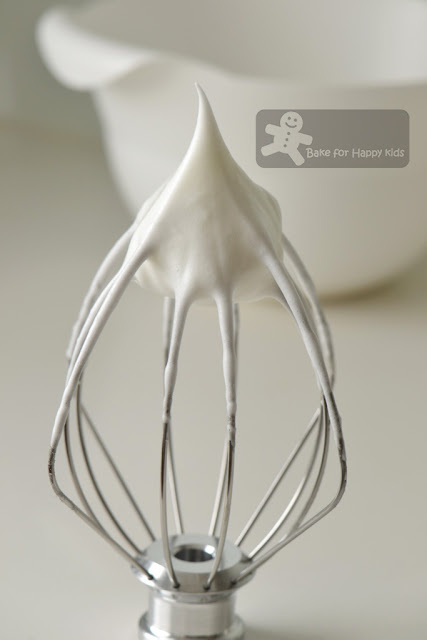 Use a hand whisk to whisk mixture B until it looks pale and slightly thickened. 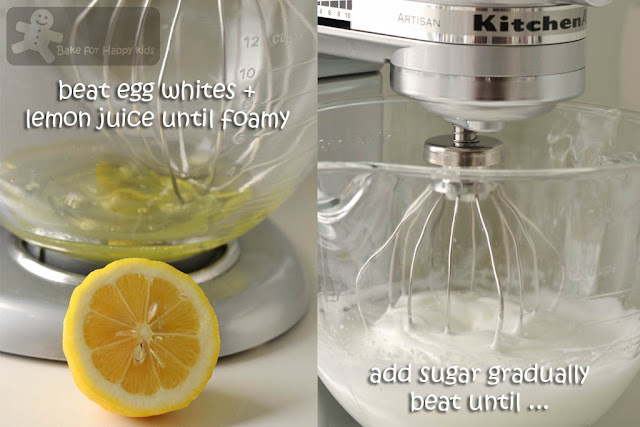 Using an electric mixer with whisk attachment, beat egg whites and cream of tartar or lemon juice in medium low speed for about 5 mins until mixture C becomes foamy. Increase mixing speed to medium high. While beating, add 35g sugar gradually into mixture C and continue to beat until stiff peaks form. 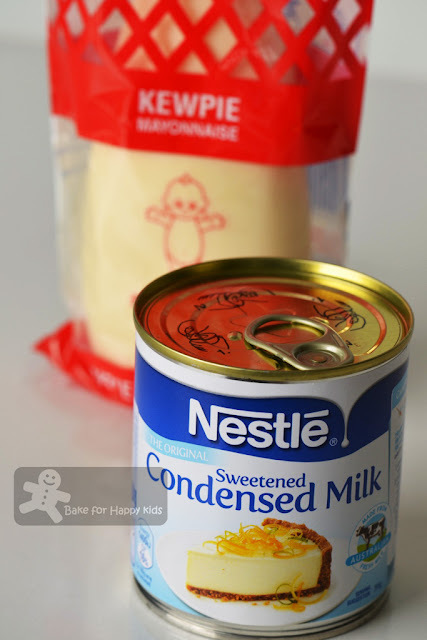 Divide mixture C into 3-4 batches and fold mixture C into mixture B gradually and by batches. Sift D into the combined B+C mixture and mix gently until all are combined. Take about 1/4 cup of the batter to mix with mixture A until combined. Then, mix all mixture A into the rest of the batter. Mix very gently to combine. Pour batter into the prepared baking tray. Use a spatula to spread the batter evenly and gentle tap the filled tray on the kitchen top to remove any large bubble. Bake for 10-12 mins or until the cake is well risen and fully cooked. Remove cake (with its baking paper) from the tray immediately and transfer it onto a wire rack to cool. 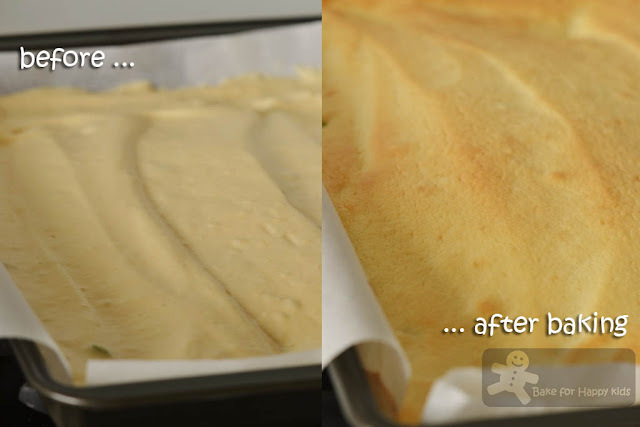 After 5-10 mins of cooling, flip the cake onto a clean baking paper and remove the used baking paper at its bottom. Allow the cake to cool completely. 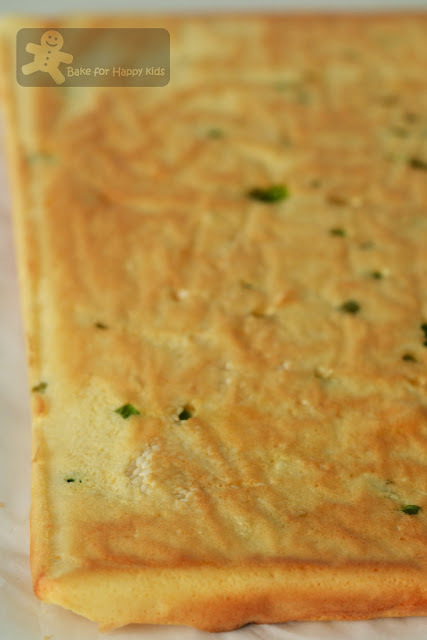 Place cake with its spring onion side down on a clean baking paper. 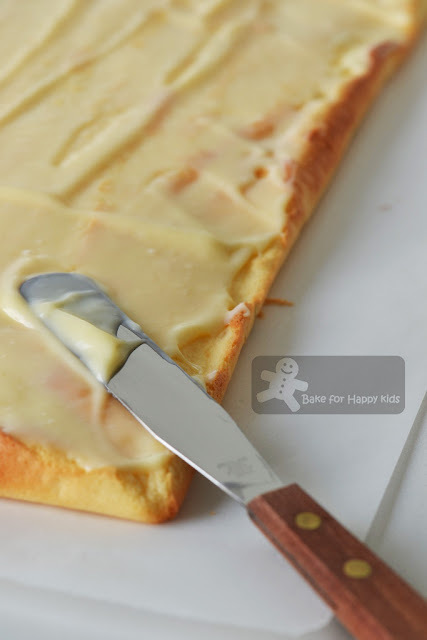 Spread thin layer of mayonnaise mixture evenly on the cake. Sprinkle pork or chicken or fish floss mixture, sesame seeds and shredded seaweed over the mayonnaise and roll the cake from the shorter end along the longer side to form a Swiss roll. Wrap in cling wrap and allow the cake to firm up into its shape for at least 1 hr at room temperature before slicing. 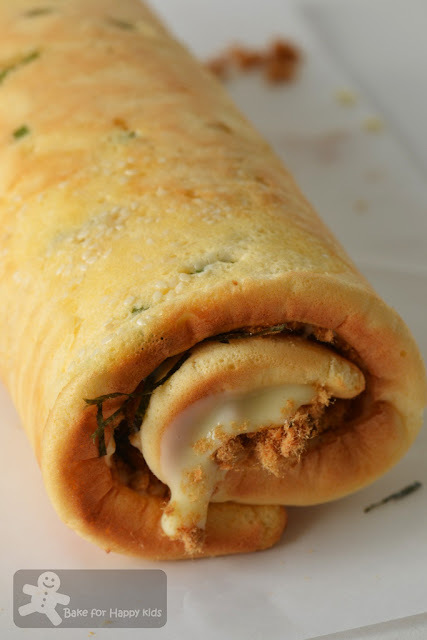 A nice fragrant savoury swiss roll you have made. Yum! Now I know what to do with the pack of chicken floss I just bought. Zoe, this Swiss Roll looks great! Even though I am not a fan of meat floss, I still want a slice of the cake LOL! Un dolce che ha sempre il suo perchè. I always love the shape of Swiss rolls. And you've taken the typical filling up a notch -- this looks wonderful. Thanks! This looks great Zoe! I've made a Swiss roll but not savory. Floss is new to me. I'm curious how you make it? What a fun lunch, dinner or appetizer! 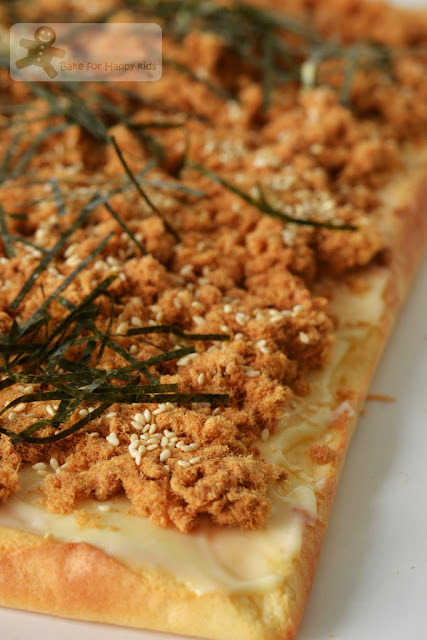 Hope that you will have fun trying this Asian style recipe.